Aug. 9, 2018, 12:13 p.m. 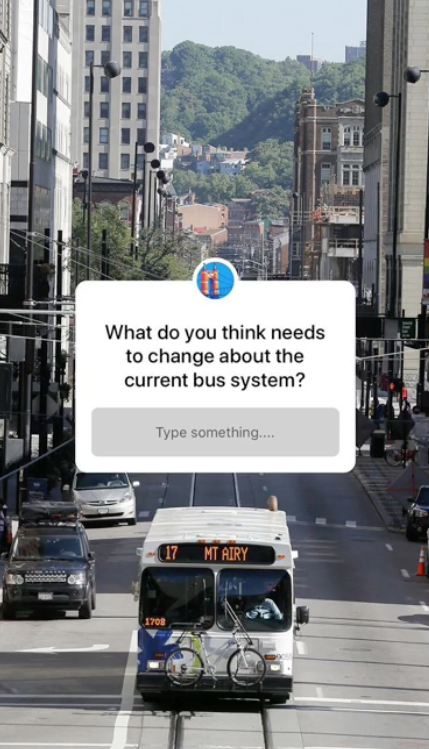 Hot dog recipes via polls, coloring-book pages via screenshot, and public transit debates via the Q&A feature in the Enquirer’s creative Instagram Stories. By Christine Schmidt @newsbyschmidt Aug. 9, 2018, 12:13 p.m. If you follow news organizations on Instagram, you probably see a dozen news quizzes or “things to know” every week on your Instagram Stories. Now, there’s nothing necessarily wrong about testing followers on current events and sharing roundups. But on a platform that lets users vote, rate something’s emoji-level, ask questions directly, and more — there might just be opportunity for a little more engagement. If you follow the Cincinnati Enquirer, though, you might get the chance to decorate some digital coloring book pages of Fiona the Hippo, or even sound off on the city’s public transit problems — and have the newsroom hear you out. hello it’s #nationalcoloringbookday and @NyergesMike helped a weird idea of mine come to life and now it’s on the @Enquirer’s instagram story!! 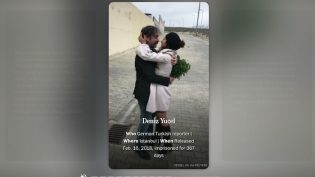 Remember, Instagram Stories are the fun lil circles-at-the-top-of-your-feed format the platform “borrowed” from Snapchat; in our previous coverage of the format, we had the discussion about what to call the “annotated mix of photos and videos, arranged in time order, vertically formatted, designed for mobile, navigated via tap, often (though not always!) meant to disappear after a certain period of time.” That was in reference to the framework from Google that allowed news developers to build their own Story-esque tool for their sites, but it’s important to remember that Stories — using it as a proper noun here, in a nod to the Snapchat Stories format that Instagram/Facebook/Messenger ran with, and because these are legitimately Instagram Stories we are talking about here — are a new playground for publishers. News organizations have tried highly produced shows on Snapchat and mobile video on Instagram’s IGTV, not to mention just posting to the permanent feed itself. But Instagram has rolled out several new features lately that add toys to the social sandbox, and the Enquirer has been smartly playing with some of them. Sullivan leads the social media strategy for the paper’s Facebook, Twitter, and Instagram (they’ve stepped back from Snapchat because of low engagement). Those three channels have three distinct audiences — notably, their older followers on Facebook tend to berate the Enquirer’s page for sharing pop culture jokes or getting too creative. “We don’t use a lot of memes on Facebook because people get mad at us because ‘we’re a legacy newspaper and we shouldn’t be acting that way’,” Sullivan told me, though I imagined the air quotes through our phone call. Sullivan is part of a four-person digital team (the others are producers). The Stories, though, are her “testing ground for my dumb ideas.” A Facebook Journalism Project event in Cincinnati encouraged her to think about how to focus on the interactive component of Stories. In the past few weeks, Sullivan has experimented with stories celebrating national “holidays” for hot dogs and coloring books (don’t worry, this isn’t all about food). For the former occasion, Sullivan used a Story to ask readers to build their ultimate hot dog via polls and the recently-released Q&A feature — and then she went home and concocted the hot dog toppings herself to end the Story, bacon, jalapeño, and all. She drew on the newspaper’s coloring contest for children in the fall as inspiration behind black-and-white graphics of local zoo animals, like Cincinnati celebrity (and children’s book star) Fiona the Hippo. Users could screenshot the images and add their own flair with stickers, different brushes, and more, and Sullivan uploaded them to the Enquirer’s Story to keep the artistry going. 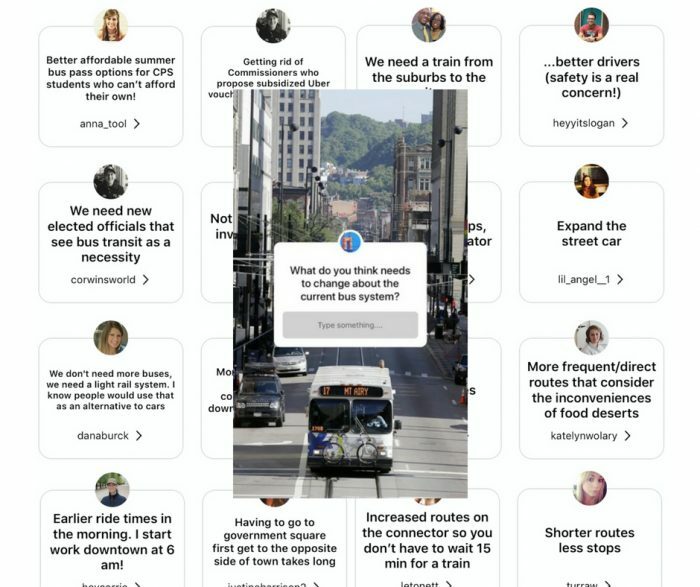 But the biggest splash came from using the Q&A feature to ask readers for their thoughts on the city’s public transit problems. The Story was meant to get followers reading a multi-phase, year-long project the Enquirer had embarked on; earlier in the week, Sullivan had asked people via polls if they got around on bus, bike, or car, and then invited them to join a Facebook group created for the project. But the replies ended up sparking a conversation of their own. With this Story, she reminded them of that interaction and shared some tidbits from the published project and asked followers what changes they want to see in Cincinnati’s public transportation. Within a half hour, the 33,000-follower account had 15 to 20 responses. Sullivan checked with the reporter leading the project to see if she could compile a complementary article based on the responses. The answer: “Go for it. The more people we can get talking about transit in Cincinnati, the better,” Sullivan said. She wrote up a list of five things that Cincinnatians want to see changed in public transportation, which, coincidentally, isn’t too far off from the list by the Southwest Ohio Regional Transit Authority and accounting firm EY shared in the main story. More than 100 people swiped up on the crowdsourced article in the Story to read it. “To get more than 50 swipes up was really surprising to me. It showed me that this wasn’t a dumb idea. This is really important and people value this and want their voices heard even if you don’t think they do,” Sullivan said. In addition to Stories, she’s toyed with newsletter-style roundups in regular Instagram posts. She assembles a few newsworthy local happenings into a multi-slide post with a numbered caption, so followers can swipe through and see the corresponding images, and it’s apparently one of the most popular items on the Enquirer’s Instagram. Their throwback Thursday posts also do well, drawing from the Enquirer’s archives. POSTED Aug. 9, 2018, 12:13 p.m.
Schmidt, Christine. "The Cincinnati Enquirer wrote an audience-driven article using Instagram Stories (and it wasn’t even about a hippo)." Nieman Journalism Lab. Nieman Foundation for Journalism at Harvard, 9 Aug. 2018. Web. 18 Apr. 2019. Schmidt, Christine. "The Cincinnati Enquirer wrote an audience-driven article using Instagram Stories (and it wasn’t even about a hippo)." Nieman Journalism Lab. Last modified August 9, 2018. Accessed April 18, 2019. https://www.niemanlab.org/2018/08/the-cincinnati-enquirer-wrote-an-audience-driven-article-using-instagram-stories-and-it-wasnt-even-about-a-hippo/.